Zincalume steel products are designed to help the environment. This is according to studies showing that this material can reduce the risks relating to human and freshwater toxicity, climate change, as well as fossil and metal depletion. In fact, certain studies have shown that this product offers a 10% to 25% reduction in the impact of steel to the environment. The makers of Zincalume have stated that their main goal is to reduce the environmental footprint of using steel for construction and other purposes. And judging at this product’s features, it seems that they are on the right track. One of the main advantages of using Zincalume is that it reduces the amount of metals used for coating. As consequence, it minimises the environmental impact of using steel products, including metal depletion and other related issues. The materials used for Zincalume products are also more durable, thereby making them even more usable and longer lasting. Obviously, such durability can lead to a more sustainable environment. This longer life span for Zincalume products is attributable to its “Activate technology,” which actually provides for a deeper and more efficient protection. Through this “Activate technology,” steel is given that needed ability to fight off corrosion and other undue risks. And of course, this will result to greater usefulness, increased durability and a notable reduction in the wastes that may negatively affect our environment. 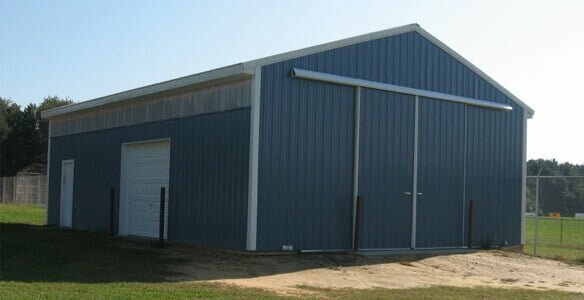 Zincalume steel products can be used for residential and commercial structures, as well as for sheds, barns or garages. What makes this product a whole lot better compared to other options is that it requires less maintenance. In effect, it will reduce the costs of owning a shed or any other structure for that matter. One more thing: if the time comes that you will have to replace certain parts of your structure, you can easily reuse your Zincalume steel products. And what does this mean? Greater benefits not only on a financial side, but environmentally as well. So, do you want to use sheds that are economical and environment friendly? Talk with a shed expert from Perth and dial 1300 778 628.